The Hampton Social is a little slice of Montauk, right in the River North neighborhood in Chicago. 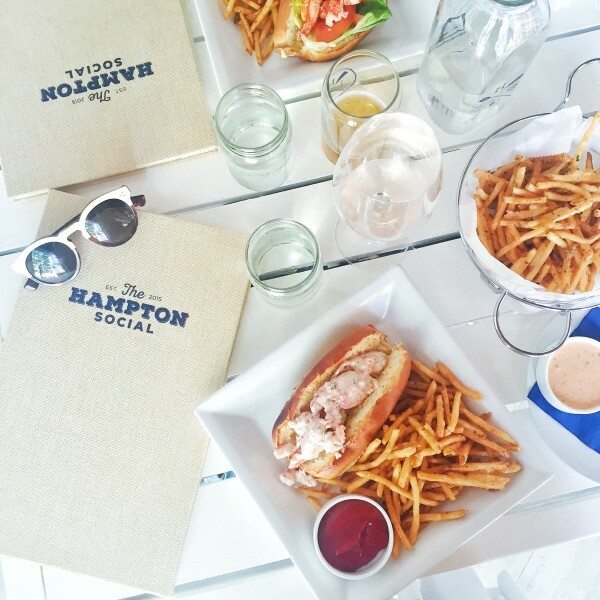 The menu boasts both Maine and Manhattan-style lobster rolls, old bay french fries, and dry rosé. The decor will have you feeling like you’ve escaped to the East Coast. A must-go! For more cute photos of the restaurant (and they’re must-see Rose All Day neon sign), check out this post!